We are proud to announce that our featured content pages are now LIVE on SevenFifty.com, a great resource for the beverage-alcohol industries’ beverage-finding and logging needs. The content page can be found here or by clicking through the banderol now found next to every Austrian wine on SevenFifty.com. Here you will find basic information about our region, laws, the past five vintages, grapes, and more. Want more information? 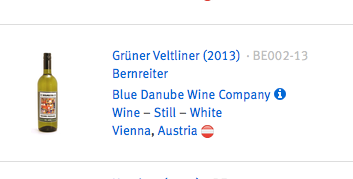 Simply click through to AustrianWine.com. Want wine from a specific region? Click on it. Austrian wine is now at your fingertips.